We build security solutions to suit your needs throughout Hampshire, Berkshire and Surrey. NACOSS gold accredited. A1 Security Systems was established in 1981 and has grown to become an NSI NACOSS Gold accredited installer for all security systems. We operate from purpose built headquarters on the outskirts of Petersfield to provide rapid response to locations across Hampshire. Within Petersfield town centre is our shop, A1 Security Centre, stocking a range of products covering all aspects of security. 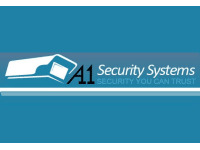 A1 Security Systems have a number of specialised divisions which reflect the range of services we can provide. Our team have the high level of skill required to carry out installations ranging from intruder alarms, closed circuit television, fire alarms, access control, integrated systems and automated gates.